महानिर्मिती जाहिरात क्र.०४(Aug)/२०१४ अन्वये तंत्रज्ञ -३ पदाकरिता सरळ सेवेची जाहिरात. 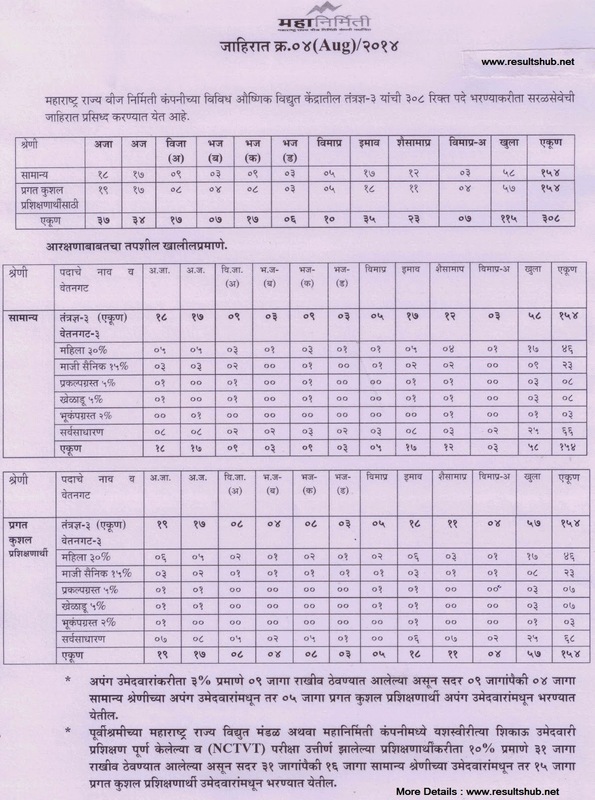 Following are the MAHAGenco MSEB Technical Person Recruitment 2014 details. Name Of Organization MAHAGenco MSEB Technical Person Recruitment 2014 details. Application Process Online Application Form links is given below, you can apply online & fill up the Application Form Directly.